A View From The Hook: 10 Days Left of "PortSide New York" Activities @ the Atlantic Basin on the Red Hook Waterfront. 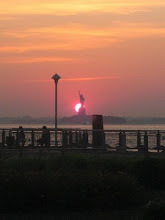 10 Days Left of "PortSide New York" Activities @ the Atlantic Basin on the Red Hook Waterfront. PortSide New York has been bringing some fantastic programs to the Atlantic Basin over the last six weeks. Since the beginning of July they've brought tall ship sails, ferry tours of the harbor, educational tours on the historic tug "Cornell", youth programs, tours of their flagship vessel, the Mary Whalen, "City of Water Day" celebrations, music, food, the Urban Divers EnviroMedia Mobile, movies, talks, story telling, Brooklyn Greenway walks, and more. PortSide has only 10 days left until their temporary permit at this location expires, and the way to ensure that PortSide snags a permanent home at the historic Atlantic Basin at the foot of Pioneer Street (as has been assured by the New York City Economic Development Corporation), allowing us all to benefit from the waterfront access that our neighborhood and its residents so crave, is to make sure that this last week or so of activities is as successful as the previous month's activities have been. You have less than 2 weeks to make it to PortSide programs in Atlantic Basin. We leave on 8/24. Please come. The sea breezes are cool; so are the programs. You will be supporting locals who are performing in many of these last programs. And... a big turnout will help get you future programs on Pier 11. We are in lease negotiations, and the Powers That Be need to see that the community wants access to this waterfront, that you want H2O Arts, TankerTime, visiting tall ship, and a permanent PortSide here. Please see our summary of activities below, please come, and please forward this email. Fri 8/13 - 8:30pm Pioneer St resident Smitty plays wicked steel guitar w/drums + keyboard... on the whining side of Mississippi delta blues.. traces of bluegrass, country, Tejano and Hawaiian... truly hot and really cool. Just $10. cash bar with beer and wine. Buy tickets here or at the door. We make history by hosting the tall ship Gazela, the oldest wooden square-rigger in the USA still sailing, which has tried to come to NYC for years. Daytime tours at the dock: Thurs, Fri, Sun, Mon (no Sat) $5 donation requested. In the evening, 2 shows of pirate cabaret burlesque aboard (t'aint just about sailing pirates, the pirates of Wall Street make the story line) on the deck of the Gazela with soaring masts overhead. $25 for 8 or 10pm show. Tickets here. You can make history and be named the sponsor of the Gazela visit by bidding on the eBay auction to be named the sponsor. See http://bit.ly/cCFJhl. No corporate sponsors have been found for Gazela's visit, so please help PortSide cover the costs of rental generator and dock fees for the Gazela by bidding now! And, below, there's some more info from the Metropolitan Waterfront Alliance about the visit of the "Gazela", the on-line auction PortSide is holding for sponsors, and the activities that this event will bring to Red Hook - including tours and "pirate burlesqe". 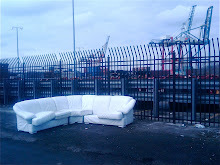 ..... and while you're at it, if you want more of this sort of stuff on Brooklyn's Red Hook waterfront, make sure you submit your comments regarding what you would like to see on our waterfront to the NYC Dept. of Planning's "Vision 2020 : NYC Comprehensive Waterfront Plan" web site. The comment period is almost over, closing on August 15th, so make sure your voice is heard in this process that hopes to shape the use of our waterfront for decades to come. Online comment form can be found HERE. For the first time in a decade Philadelphia's flagship, the barkentine Gazela, will be visiting New York City. Presented by PortSide New York at Pier 11 in Atlantic Basin, Red Hook, from August 19 through 23, Gazela is the oldest, wooden squarerigger in the USA still sailing. She was built in Portugal in 1883 as a fishing vessel. During the day, Gazela offers ship tours. Visitors will learn about the vessel's history fishing for cod in the Grand Banks off Newfoundland. Evenings will bring pirate burlesque aboard the barkentine. Why has it been so long since the white sails of the Gazela have been seen in New York Harbor? In part, the answer lies in lack of docking infrastructure. Eric Lorgus, president of the Gazela, said, "Tall ships have found it increasingly hard to visit this place. and I've been trying to crack NYC for years. We really appreciate the efforts PortSide has made on our behalf." To cover the costs of the ship's visit, PortSide New York has taken the unusual step of instituting an online auction for sponsors. Click here for the auction. 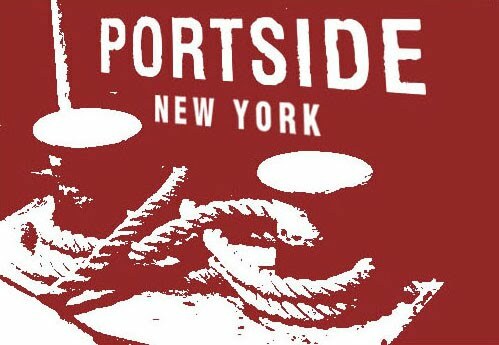 "PortSide was founded to bring the BlueSpace, or the water part of the waterfront, to life in New York City," said Carolina Salguero, director of PortSide NewYork. "We are excited that the Gazela is coming, because tall ships are education and inspiration afloat. We hope her visit opens the door to more visits by more boats-of all types -- at this pier and other piers. We are encouraged by recent government initiatives focusing on the water itself and grateful that the EDC [New York City Economic Development Corp] has made Pier 11 available to us for Gazela's visit."